NEW DELHI, India, April 1, 2016 (ENS) – India’s Supreme Court ruled Thursday that the ban on the registration of vehicles powered by large diesel engines in the National Capital Region will continue until further notice. Concerned about air pollution, the Supreme Court last year issued an order banning registration of diesel vehicles over 2000cc in Delhi till March 31, 2016. A bench headed by Chief Justice TS Thakur, who issued the original ban, is considering a high environmental compensation charge on diesel vehicles as a possible condition to lift it. 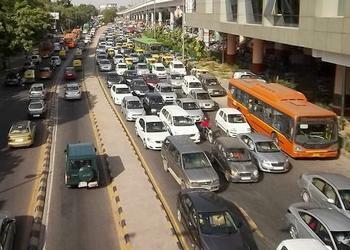 Statistics show that about 23 percent of cars registered in Delhi run on diesel. Diesel cars can not only legally emit 7.5 times more particulate matter than petrol cars, but they produce comparatively more polluting nitrogen oxides. The ban covers the National Capital Region, which takes in Delhi and its satellite cities, India’s largest market for automakers. About 400,000 diesel vehicles with large engines are sold in India every year. Auto executives worry the ban could impact consumer preferences, putting at risk the investments automakers have made to develop diesel vehicles for India. But all agree something must be done to clear the air in India’s cities. Last year, the World Health Organization named Delhi as the world’s most polluted city, with 12 other Indian cities ranking among the worst 20. Air pollution contributes to more than 600,000 deaths each year in India. India’s Minister of State for Power, Coal, and New and Renewable Energy, Piyush Goyal, has announced he is seeking workable ways to make every car on India’s roads an electric vehicle by 2030. “We have created a working group under the leadership of Road Transport and Highways Minister Nitin Gadkari, who is good at coming up with large scale programs. Environment Minister Prakash Javadekar, Petroleum Minister Dharmendra Pradhan, and I are members of this group. 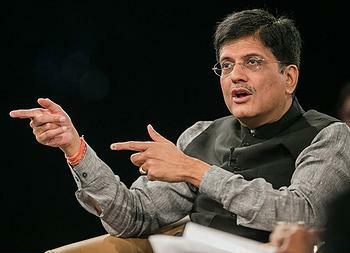 We will meet in the first week of April to see if India can 100 percent be on electric vehicles by 2030,” Goyal said at the Conference on Young Indians in New Delhi on March 22. More than 35 young Asian and European youths participated in the discussion, which was organized by Ministry of External Affairs, the Young Indians, and Confederation of Indian Industry. The minister said he envisions a program that would be self-financing, without funding from the Indian government. Goyal suggests that drivers could buy bare bones electric cars with no money down. The buyers could pay for the EVs over a period of time from the savings made on fuel. The plan follows the government’s successful campaign to promote energy-efficient LED lightbulbs, which has seen costs fall by 80 percent over 18 months. The bulbs are distributed by power utilities and consumers pay for the bulbs over a period of time from their power bill savings. Vishnu Marthur, director general of the Society of Indian Automobile Manufacturers, said the automakers would work with the government to shift the country toward electric and hybrid cars.